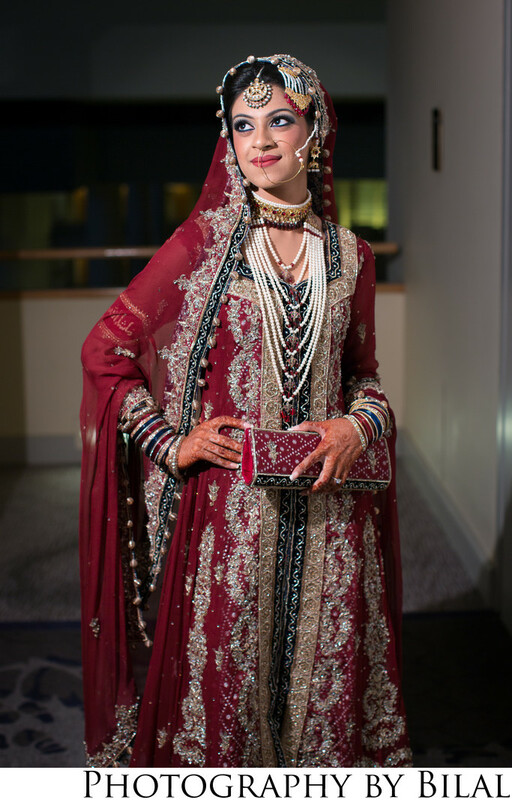 I vividly remember capturing this bridal portrait of beautiful Pakistani bride Nabiha. I wasn't given much to work with in terms of location. Just a very ugly hallway with bad light. So, I ended up highlighting the bride with a single flash and underexposed the background. I made sure to position the bride's face towards the light to lessen any harsh shadows. This was the resulting image, which was also featured on South Asian Bride Magazine's wedding blog.